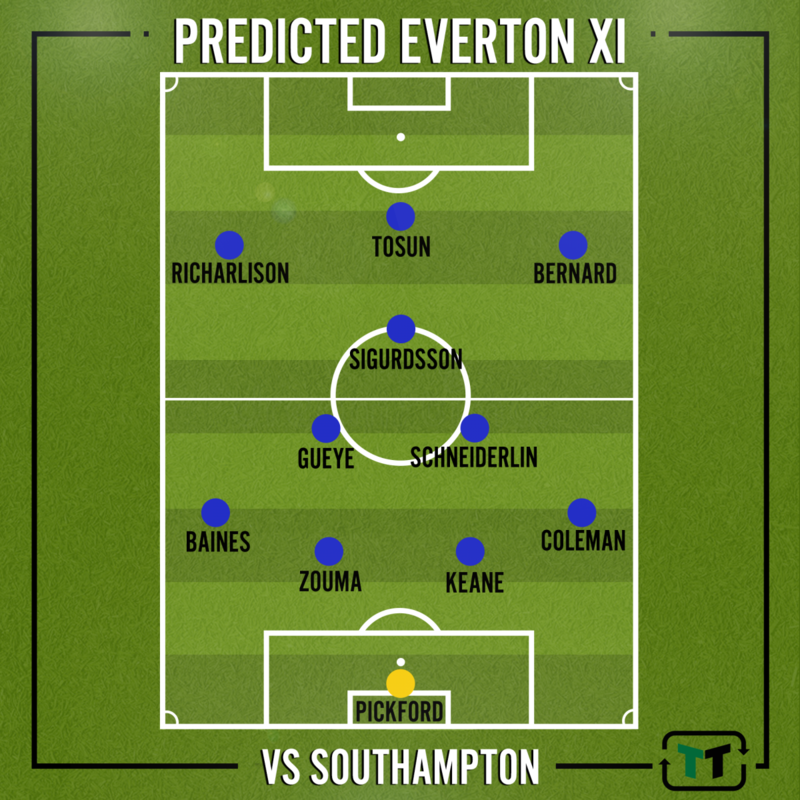 4-2-3-1: New signings can help Everton smash Southampton later in an ideal Silva XI | The Transfer Tavern | News, breakdown and analysis on all things football! Everton will be desperate to secure their first victory of the new campaign after throwing away two leading positions against Wolverhampton Wanderers last time out. The Toffees were rather impressive on the opening day of their Premier League campaign, despite losing Phil Jagielka to a red card in the first half. 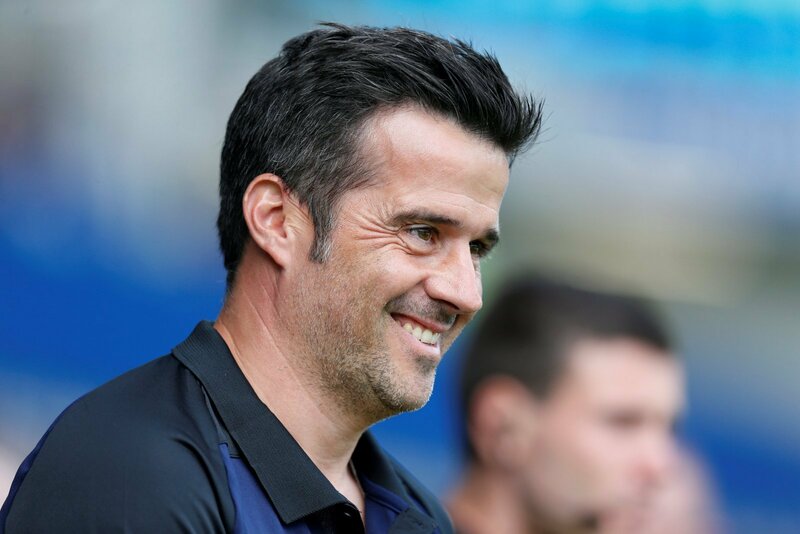 But, Marco Silva will be keen to secure his first three points as Everton boss later on today, as the early signs have been bright and positive. Indeed, Everton will welcome Southampton to Goodison Park later on today in what will be Silva’s first competitive game in front of the home support. But, the Saints will be looking to build on the hard-fought point they grabbed at St Mary’s last time out, so the Toffees will need to be at their best. Therefore, having taken Silva’s selection from the last game and summer signings into consideration, we’ve come up with a team that we think the Portuguese boss could line up with against Southampton. We’ve gone with a 4-2-3-1 formation, as that is the formation that Silva enjoyed a lot of success from at Molineux last weekend. The Toffees will look to get the ball out to their wide men, with the attacking midfielder creating space and feeding balls in behind the opposition’s defence. The Toffees will put their trust in England’s World Cup hero Jordan Pickford, who showed moments of promise against Wolves last time out. Supporters will be delighted to see summer signing Kurt Zouma in the starting XI as he will no doubt be gifted his Premier League debut alongside Michael Keane. Also, Seamus Coleman will operate on the right-hand side of defence after an impressive display last time out, with the experienced Leighton Baines looking to provide quality from set-pieces and ensuring solidity at the back. Morgan Schneiderlin and Idrissa Gueye will operate in front of the defence as the Toffees’ two defensive midfielders. Both men played a vital part on the opening day of the campaign as they kept things tight and snuffed out a number of oncoming attacks. Everton will line up with a star-studded attack that includes the likes of Gylfi Sigurdsson, Richarlison and Bernard. The former Watford man was the star of the show last time out as he grabbed two goals and is well on his way to repaying the Toffees for the hefty price they paid for his services. Bernard will be looking to have a similar impact on his Premier League debut for Everton, with his pace and skill set to cause all sorts of problems. Lastly, Cenk Tosun will be looking to open his goalscoring account after offering very little at Molineux, but he did play a vital part towards the end of the last campaign, so the manager will put his trust in him once again.